Learn stunning belly dance and Bollywood routines to mystical and energetic pieces of Arabic and Indian style music. This dance will help your fitness level, improve posture, and give you more confidence in yourself on a physical and spiritual level. You can look forward to tons of fun as we will get you shimmying and shaking from the first beat. 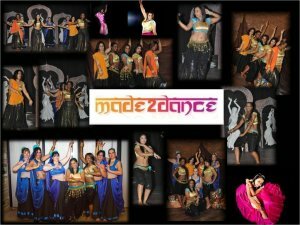 Made to Dance welcomes all ladies no matter your size, age, shape or fitness level. With studios located in central areas of Northriding, Sandton and Randburg, you cannot miss this wonderful opportunity to join a class near you! Term 1 begins in Feb 2012, Term 2 - May 2012, Term 3 - Aug 2012 and Term 4 – Nov 2012. A monthly option is also available.